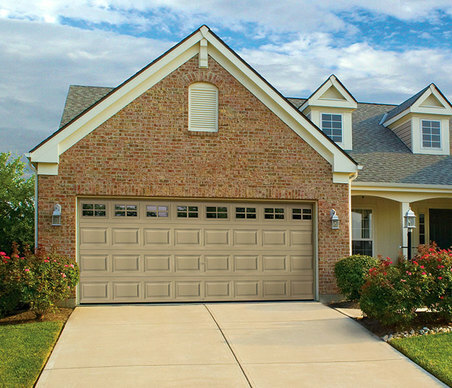 For years, the Raised Steel Panel garage door has remained our most popular design for homeowners. This highly sought design can be personalized with color and window options to match your home’s style. Our Raised Steel Panel doors are tough, featuring heavy-duty galvanized hardware, durable steel and a commercial-grade weather seal to keep the elements out. * AVAILABLE IN THERMOSTEEL ONLY. * * AVAILABLE IN THERMOGUARD AND THERMOSTEEL ONLY.